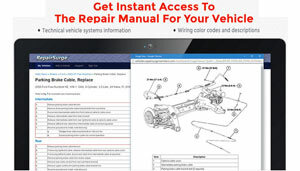 This page covers the GM Hummer and the Hummer brochures of those vehicles. You can visit AM General for information on the original Hummers and the Humvee. Of course most everyone knows that the original Hummer was built by AM General, but General Motors purchased part of the company and created its own brand know as Hummer. General Motors purchased the brand name Hummer from AM General in 1999 and created a separate division of GM. This division actually sold the Hummer H1 that was built by AM General and in 2006 that model was discontinued. 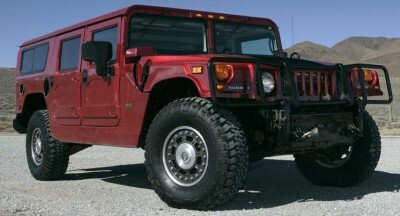 General Motors designed and built the Hummer H2 and Hummer H3 models. This manufacturing and sales structure was one of the reasons that the Hummer brochures are not as plentiful as some of the other GM vehicles. The H3 was alongside the Chevrolet Colorado and GMC Canyon pickups on a modified frame. H3. A midsize SUV that features 4-wheel drive, but no exactly what you think of when you say Hummer. Although is has nearly 10 inches of ground clearance and under carriage protection. See the Hummer brochures below for more information. H3T. Is it a truck or an SUV this Hummer has a cargo bed that provides versatility and numerous configurations. The H3T is available front and rear locking differentials, which you won’t see on anything, but a serious off-road vehicle. H3X. You might call it the fancy Hummer, which is really a softened up SUV. Made for the street, but still capable of hitting the dirt. See the Hummer brochures for options and features that you might find in a luxury car, which is great for the suburbanite or soccer mom. H3 Alpha. The Alpha series Hummer is the powerful model with a 5.3-liter V-8 engine for performance, towing and bragging. H2. The H2 is bigger than the little brother H3 and more muscular. The H2 Hummer is the closest thing to the real Hummer from the past, but still an SUV. Take a look a the Hummer brochures here for a closer look. H2 SUT. The H2 Hummer is my personal favorite after the H1. There is something having a full size cab and a truck bed that makes me smile. It can do work and it can haul people all at the same time. However more of these were purchased by people that never needed a pick-up truck in their life other than picking up their new patio furniture. There are several Hummer brochures below, but there are many we still need to locate. If you have one of these missing Hummer sales catalogs please drop us a line or send us an email.